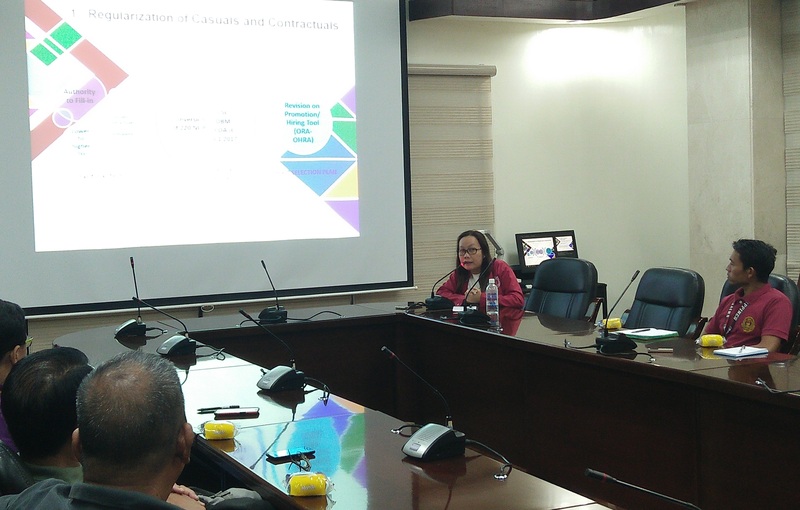 The representative of the administrative staff and the research, extension, and professional staff (REPS) to the UP Board of Regents presented her accomplishments and plans and consulted the UPLB constituents on Nov. 16 at the Executive Conference Room, BM Gonzalez Hall. Staff Regent Analiza Fulvadora, a scholarships officer from UP Mindanao, talked about how she has been addressing her five-point agenda that affect the welfare of the two sectors in the University. These are the regularization of casual and contractual employees, lobbying for additional fringe benefits, campaigning for additional five days in the Expanded Service Recognition Pay, renegotiating the Collective Negotiation Agreement, and implementing a more democratic participation of all sectors. Employee regularization and improvement of relevant existing mechanisms were repeatedly mentioned during the consultation. “Isa sa ating mga kahilingan ay tungkol sa isyu ng promosyon at regularisasyon ng ating mga kasama,” Regent Fulvadora said. “Dahil sa Authority to Fill-in na mandato, ‘yung ibang mga kasama natin na casual o contractual ay nailipat na sa permanent; ‘yung mga nasa mababang salary grade level ay nailipat na sa mas mataas,” she added. She cited UPLB as the constituent university (CU) with the highest number of contractual employees that were regularized – 105 out of 220 – in the entire UP System. “Alam namin ang kahalagahan ng pagseserbisyong ginagawa ng mga empleyadong nasa Contract of Service (COS) para mapatakbo natin ng maayos ang buong unibersidad,” said Dr. Portia Lapitan, vice chancellor for academic affairs, who represented Chancellor Fernando C. Sanchez, Jr. during the consultation. “At dahil sa pagpapahalagang ibinibigay natin sa serbsiyong ibinibigay ng mga nasa COS ay talagang pinagpaplanuhan ng UPLB kung paano nga ba natin magagawang maipagpatuloy ang pagseserbisyo nila sa UPLB,” Dr. Lapitan added, as she answered a question about UPLB’s plans to look after the welfare of its contractual employees. 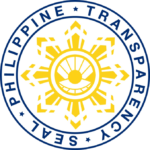 Other concerns that were raised during the consultation included harmonizing employee benefits that are being given to all UP CUs; providing appropriate hazard pay to those exposed to medical, laboratory, and field work risks; and efficiently implementing hospitalization benefits, among others.